In the spring of 2010, I accepted a research position with the Truth and Reconciliation Commission of Canada as a graduate student in political theory — an experience that has since undoubtedly affected me in a positive and maturing sense. The research not only matured my outlook on what meaningful interdisciplinary work looked like but also on how numerous philosophical questions (e.g., of injustice, autonomy as well the contestability, multiplicity and re-narration of histories) applied as well as existed between European and Aboriginal intellectual contexts and ordinary lives. I was then and still am one of the very few privileged non-Aboriginals from my generation to have worked with the head office staff in Ottawa and Winnipeg in documenting the history of the residential schools, in confronting and discovering our shared problems, reflecting on the nature of those problems, and documenting the history of abuses of the residential school system in Canada. With this comes an ability to further understand the existence, and perhaps the failures of the role and the meaning of histories from my own intellectual heritage, indeed the importance of re-narration, its role in politics and its contestability — all of which impact the ongoing maturation of my reflections on truth and reconciliation. In this series of posts, I will first explore the basics of the history of the residential schools so to lay eventually the groundwork for the more philosophical questions and the more difficult exploration I find important in thinking about meaningful reconciliation and perhaps also for coming to terms from a certain perspective with what may very well be determined in the near future a genocide on Canadian soil. My goal is to be honest with myself, embrace my own background (i.e., the white, Catholic, non-Aboriginal male) and share my own development and critical reflections here so to provide perhaps over time a space for other non-Aboriginals to do the same and the eventual basis for positive reconciliatory and conciliatory exchanges with Aboriginal peoples in a shared future. The residential schools were off-reserve boarding schools set up by the Canadian Government in the 1870s, on the advice of N. F. Davin’s study commissioned in 1879 by Prime Minister Sir John A. Macdonald. The schools were administered by the Churches to educate Aboriginal children and assimilate them into Canadian society and Christian faith. The children were not only separated from their communities and families but were also forced to repress their own cultures and languages. They were given in almost all cases only a basic and inferior education limited to basic skills in woodworking, sewing and laundry. Like non-Aboriginals, however, they were also taught that their cultures were primitive and uncivilized. The residential schools were an explicit system meant to alienate Aboriginal children from their own cultures and to undermine the existence of those cultures in Canada. The effect was to not only separate them from their families but also from nurturing experiences required to raise their own children and communities. The intergenerational consequences of the residential schools for the survivors are far ranging and have been documented to have profound effected on through to the current generation. 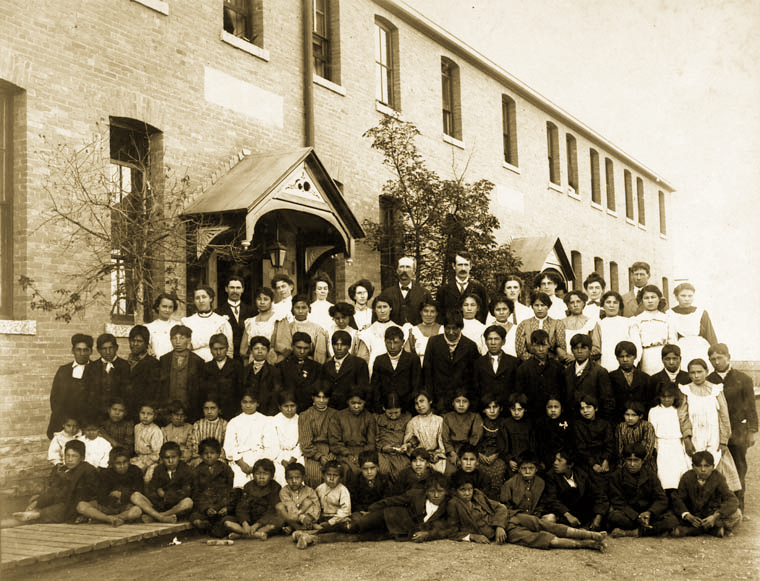 The history of the residential schools is still a living one today that has an ongoing effect on Aboriginal culture, survival of communities, languages, and including impacts on mental and physical health, susceptibility to addictions, high rates of incarceration, suicide and child foster care, perpetuating the vicious cycles of violence and broken communities and other forms of self-inflicted abuses. Many of the survivors of the residential schools only reached grade 5 by the age of 18 continuing a distrust of education and cycles of poverty. Studies have documented a sense of loss of autonomy and a loss of the ability of being or creating a home in the world due to in-group and out-group discrimination. The last residential school closed in 1986 in Saskatchewan; there were 139 schools in total in Canada. WHAT HAPPENED AT THE SCHOOLS? For the most part, children do not recall positive experiences while attending Indian residential school. They were forced to abandon their language, cultural beliefs, and way of life, and mandated to adopt the European languages of English or French, foreign religious denominations, and new habits. HOW WERE RULES ENFORCED AT THE SCHOOLS? 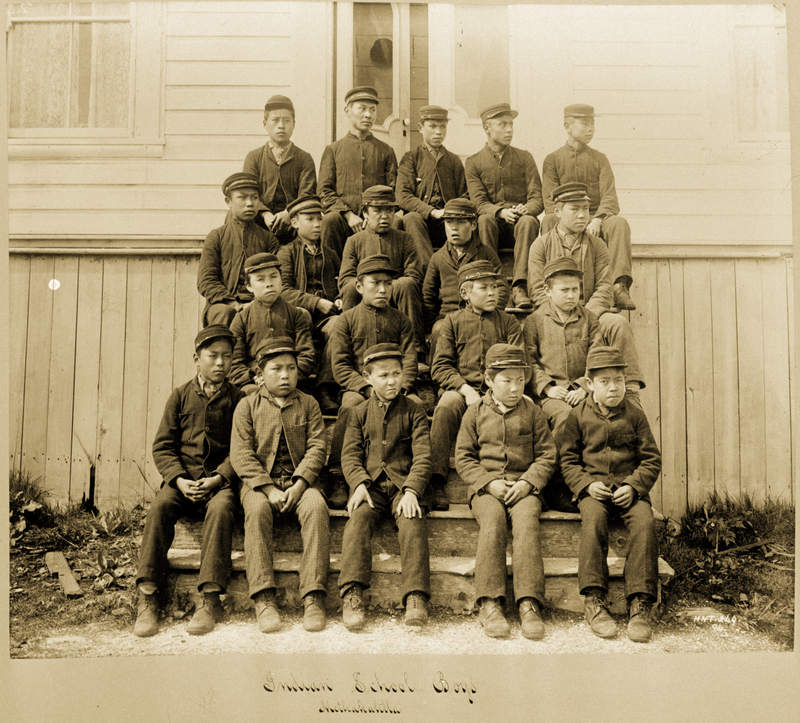 Strict rules were developed, implemented, and strictly enforced at Indian residential schools to ensure children accepted and adapted the languages, religious beliefs, and ways of life.